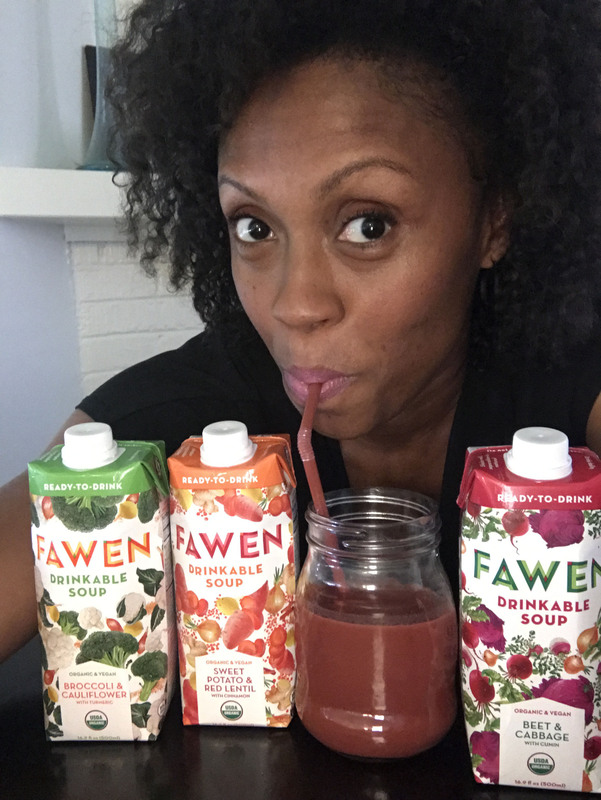 Fawen is a NEW COLLECTION OF REFRESHING, READY-TO-DRINK VEGAN SUPERFOOD SOUPS PACKED WITH PURE PLANT ENERGY. 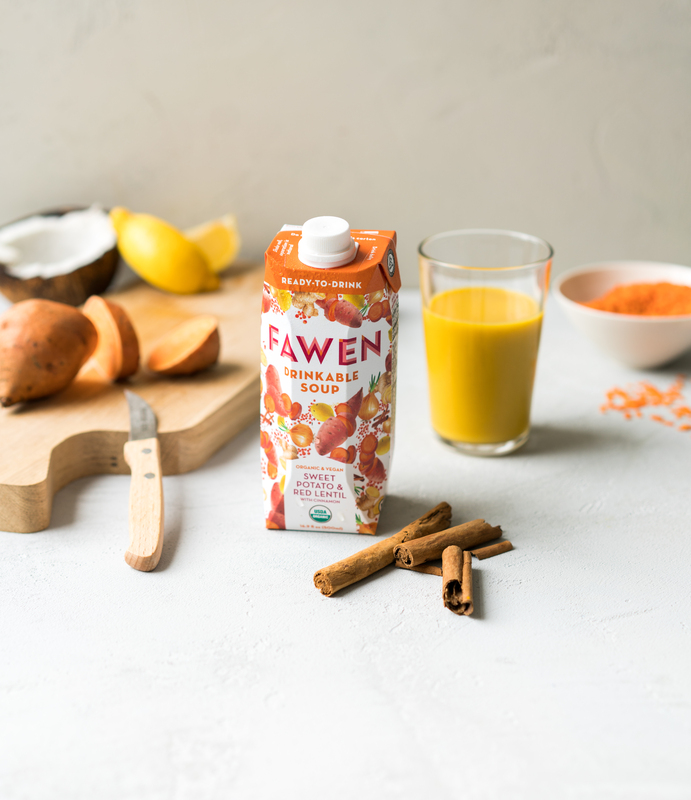 As you can see from the image, Fawen drinkable soups are packed with goodness. There are so many vitamins, minerals and antioxidant benefits in every single one. We all need these due to our busy lifestyles. Being on the go no longer means eating unhealthy foods. My allergies were super bad this past month and getting over those left my body depleted. I felt like I had used all of my stored nutrients to fight off all the pollen in the air that had invaded my body. It was a chilly morning and my Fawen samples came in the mail. Talk about perfect timing. I immediately warmed one up. I was at home so I poured it into a pot on the stove for about 45 seconds. It was immediately soothing and gave me a peace of mind knowing that I was putting all organic ingredients into my body. I felt so much better, I really did. These are good to have in your desk, fridge, diaper or gym bag. They are conveniently packaged to twist open and drink up!